Greenleaf Book Group, 9781626340589, 274pp. How Can You Use Your Mind to Transform Your Brain to Make Yourself Happier? 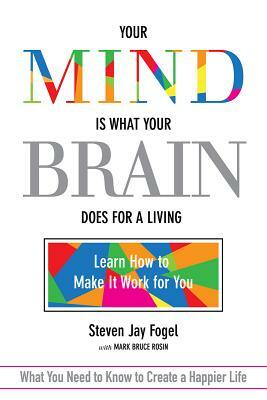 Steven J. Fogel has been described as a Renaissance man for the new millennium. He is a cofounder of Westwood Financial Corp., one of the leading private commercial real estate owners in the country. For decades he has been an active participant in the human potential movement, inspiring others to seek their true selves. Steve is an accomplished artist and the author of "The Yes-I-Can Guide to Mastering Real Estate" (Random House) and "My Mind Is Not My Friend" (Fresh River Press). His broad experience in business and the arts led him to serve as chairman of the California Arts Council. He lives and works in Los Angeles.